It’s been a tough couple months. I can’t even begin to share it all with you. Not all of it has worked its way to the surface yet. But, this one did today and so I’m putting it out there. I started running after my son Rowen was born. This was not a natural thing for me, seriously, I threw shot put in college…not a runner. But Rowen was my 4th child and my 3rd in 3 years, I started to run to lose the baby weight. I ran 2 miles a day and was doing great and feeling good. I signed up for a 5K the August after Rowen was born and by the next spring I decided to try my hat at a 1/2 marathon and survived. Between my first and second 1/2 marathon I realized I was pregnant with my son Charlie, yes 4th son in 5 years! I ran that second half marathon 9 weeks pregnant with little Charlie in tote. One week later, we found out Max had Duchenne Muscular Dystrophy. My world collapsed and running became more than something to help me stay fit, it was when I cried, it was when the thoughts that were racing through my head every other minute of the day left and I had a little clarity and time to process all that was happening in my life and to my sweet boys. Six months after Max was diagnosed, Rowen was diagnosed. Seven months later Charlie was diagnosed. I kept running. 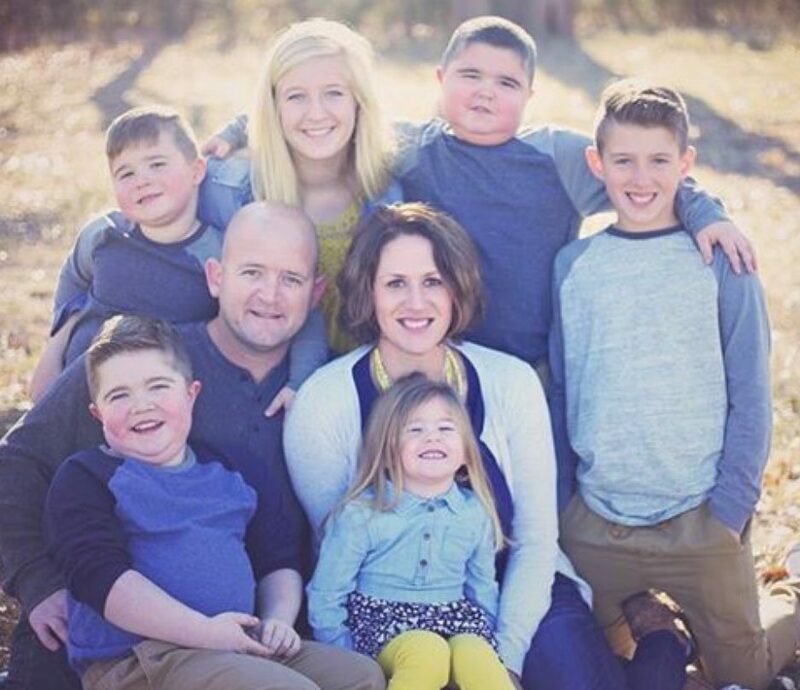 As I learned more about Duchenne Muscular Dystrophy, I learned that carriers of the disease were at risk of developing heart complications similar to that of the boys. I was a carrier and decided to proactively have my heart checked. They found scarring on my heart and a lower than normal ejection fraction (how efficiently my heart pumps blood) and started me on two medicines, an ace inhibitor and a beta blocker. They did their job, my ejection fraction improved and scarring on a subsequent MRI had remained the same. The only problem was that the beta blocker made me feel horrible. I was tired and lethargic. We tried several different types and even extended release versions. I still felt bad all the time. Most people on these types of medicines are not in their early 30’s with young families to raise or running 25 miles a week. I stopped running because it was too hard. My stress level went through the roof. With my doctors’ permission I eventually stopped the beta blocker and we hoped that the ace inhibitor could do the job alone. I started running casually again and just this past January I decided to train for another half marathon for my boys and for all boys with Duchenne. My mileage was increasing, I was feeling better physically than I had in a couple of years, I was managing my stress better. During my training we made our bi-annual trip to Cincinnati for the boys’ clinic appointments. I’m also seen there in the carrier clinic, where they monitor my heart health. I had an echo-cardiogram, I’ll have a cardiac MRI at our next 6 month appointment, and then I wore a holter monitor for 24 hours. The echo looked okay, ejection fraction was okay. They did ask me to start a diuretic because it has shown the ability to slow or stop scarring of the heart, and since we already knew I had scarring it seemed logical and I agreed to start it. Besides, it is the same heart med my 11 year old son takes, he’s one of my heroes and if he can do it, I can do it. I went home and continued my training. A week before my half marathon the cardiologist called. They had the results of my holter monitor and wanted to discuss them. Oh, I had kind of forgotten about it and had assumed everything was ok. It wasn’t. During the 24 hours, I had several ‘cardiac episodes’ they said. I’m not using the medical terms, but basically, what they said is the lower chamber is beating out of rhythm with the upper chambers at times because of the scarring. Some of the episodes were lasting a substantial amount of time and that could cause me to pass out. This could be very dangerous if I were driving, or carrying one of the boys, etc. They wanted to me to start a beta blocker right away. I agreed, I had always promised that if the ace inhibitor alone wasn’t enough that I would follow their advice and use a beta blocker again. And I’ll do anything to keep my family safe. I asked about my race, they knew I was training. They said run it! The beta blocker would probably not be working full force for a couple of weeks and I shouldn’t feel changes before the race. So, I did. It was a great day. I ran it with a great friend and for the boys. That was 3 or so weeks ago. And I’m feeling tired again. They did divide my dose into two small doses that I take at the beginning and end of the day. I’m not as tired as I was previously. I’m still running. It is slow, it is hard, and sometimes I have no option but to walk. Today I ran/walked 6 miles. My pace was between 10 and 13 minutes a mile. But I didn’t care. I wasn’t running to break any records. I was running for me, for my sanity, and for my family. I’m not quitting this time. I’m scared. I hate that my heart didn’t stay stable, what if it will continue to decline? How will I ever be the mom they need me to be if my heart isn’t working right? Duchenne is breaking my heart in more ways than one. The doctors don’t think that will happen, that they meds will manage it and I trust them, but doubt finds its way to creep in. That is what Duchenne does, wears you down. It will make life slow and hard for the boys. What kind of an example am I if I quit when I have to slow down or quit when it is hard. Every single run I remember what it is my boys do every minute of every day. I want to be strong for them. I don’t have to be fast, or run without stopping to be strong. I just have to keep going when things get hard. They do and so will I. And if I do, so will they. I will do this with them and for them. I will do it for Lexi, Chance, and Mary. Life will get hard for them too. I want them to see me battling through the hard, fighting even harder when it gets tough. They will not know any other way. We will keep moving forward and we will plow through the obstacles. All of us together.